Birth. September 11, 1670, Lisbon. He was the ninth child of António de Almeida, second count of Avintes, governor of the kingdom of Algarve, and Countess Maria Antónia de Bourbon, of the counts of Arcos, dame of Queen Maria Francisca de Sabóia-Nemours. He was baptized on October 5, 1670. His first name is also listed as Tommaso; and his last name as Almeyda. Education. Studied at the Jesuit Colégio de Santo Antão, Lisbon (Latin, philosophy and rhetoric); he maintained a close and cordial relation with the Society of Jesus throughout his life; on December 20, 1688, he started, as porcionista, at Real Colégio de São Paulo, Coimbra; then he attended th University of Coimbra, where he obtained a licentiate in canon law, com aplauso, on May 14, 1694. Received the insignias of the clerical character and the minor orders, November 22, 1784; the subdiaconate, February 25, 1695; and the diaconate, May 22, 1695. Priesthood. Ordained, June 12, 1695. Named deputy of the Holy Office in Lisbon on June 21, 1695. His family's relationships helped him to rapidly progress in his public career. Judge of Realção of Porto, August 27, 1695; he occupied the post for three years; then returned to Lisbon. Named judge of the House of Supplication, April 1698. In that same year, his cousin, Tomás de Lima, viscount of Vila Nova da Cerveira, presented him for the post of prior of the parish of São Lorenzo, which he rebuilt and embellished. On June 1, 1702, he became procurator and deputy of Fazenda (rural properties) in the Council of the Queen. On April 13, 1703, he was named deputy of the Mesa da Consciência e Ordens, having being decorated, before his appointment, with the Order of Christ as professed knight. On May 28, 1704, when the king went to Beira, he was named acting secretary of Mercês, Expediente e Assinatura, in place of Diogo de Mendonça Corte Real, who accompanied the monarch. Named by King Pedro II protochancellor of the kingdom and treasurer of the royal court, October 1704; he took possession on the following November 24. President of the ecclesiastical department. Episcopate. Elected bishop of Lamego, December 6, 1706. Consecrated, April 3, 1707, convent da Graça, of the Augustinians, Lisbon, by Nuno da Cunha e Ataide, titular bishop of Targa, assisted by Andrea Bottado, titular bishop of Hippo, suffragan of Braga, and by Pedro de Foyos, titular bishop of Bodona, suffragan of Lisbon. He entered the diocese on May 2, 1707. He mediated and was able to solve the conflict that had existed between the cathedral chapter and the bishop of Viseu. He was royal secretary of state. He assisted King Pedro II at his death. On July 1, 1707, the day of the acclamation of King João V, he was appointed Escrivão da Puridade (Registrar of Purity), a position of the greatest importance in the kingdom. On May 3, 1708, he was named by the king visitor to Colégio Real de São Paulo in Coimbra. Transferred to the see of Porto, July 22, 1709. At the same time, he was named by the king governor of registries and arms of Porto. He entered the diocese of November 3, 1709. Promoted to the Occidental patriarchate of Lisbon, December 7, 1716. He made the solemn entrance to the patriarchate on February 13, 1717. On November 17, 1717 he blessed the first stone of the Royal Basilica of Mafra, which he consecrated on October 22, 1730. He baptized Infantes D. Pedro and D. Alexandre, and the four children of the prince of Brazil. On January 11, 1728, he celebrated in the patriarchal church the marriage of Infanta Dona Maria Bárbara with the prince of Asturias; and on January 20, 1729, in Elvas, the marriage of the prince of Brazil with Princess Dona Mariana Vitória. Cardinalate. Created cardinal priest in the consistory of December 20, 1737; with an apostolic brief of January 13, 1738, the pope sent him the red biretta; he received the biretta in a ceremony celebrated on March 3, 1738, in the Oratory of the Palace, where he lived, next to the church of São Roque, in the presence of Canon Giulio Sacchetti envoy of the Holy See; he never went to Rome to receive the red hat and the title. He was the first cardinal patriarch of Lisbon (1). Did not participate in the conclave of 1740, which elected Pope Benedict XIV. The two circumscriptions, Occidental and Oriental Lisbon, were united on December 13, 1740. Inquisitor general of the Portuguese kingdom, June 22, 1743. On November 13, 1746, he consecrated the patriarchal cathedral that the king had ordered built after the extinction of the Oriental diocese; it was later destroyed by an earthquake. On September 7, 1750, he attended the consecration of the new King José I of Portugal. On October 27, 1753 offered the Brotherhood of Santa Isabel, to help in reconstruction works of the church, a large part of his rich gilded silver dinner service; and at his death he bequeathed the rest valued at more than four contos. He also spent large sums of money in the foundation of the convent of the Trinitarian nuns in Rato; the church of the Regular Clerics of the Mission in Rilhafolhes; and several other religious buildings. Death. February 27, 1754, Lisbon. Buried in the then Jesuit church of São Roque, Lisbon (2). Bibliography. Cardella, Lorenzo. Memorie storiche de' cardinali della Santa Romana Chiesa. 9 vols. Rome : Stamperia Pagliarini, 1794, VIII, 277; Notizie per l'anno1753. In Roma MDCCLIII : Nella Stamperia del Chracas, p. 90; Pimentel, António Filipe. "D. Tomás de Almeida (1716-1754).'" Os patriarcas de Lisboa. Coordenação D. Carlos Azevedo, Sandra Costa Saldanha, António Pedro Boto de Oliveira. Palavra de apresentação do Cardeal Patriarca, D. José da Cruz Policarpo. Lisboa : Centro Cultural do Patriarcado de Lisboa; Alêtheia Editores, 2009, p. 4-22; Ritzler, Remigium, and Pirminum Sefrin. Hierarchia Catholica Medii et Recentioris Aevi. Volumen V (1667-1730). Patavii : Typis et Sumptibus Domus Editorialis "Il Messaggero di S. Antonio" apud Basilicam S. Antonii, 1952, pp. 234, 322 and 397; Ritzler, Remigium, and Pirminum Sefrin. Hierarchia Catholica Medii et Recentioris Aevi. Volumen VI (1730-1799). Patavii : Typis et Sumptibus Domus Editorialis "Il Messaggero di S. Antonio" apud Basilicam S. Antonii, 1968, p. 8; Seidler, Sabrina M.; Weber, Christoph. Päpste und Kardinäle in der Mitte des 18. Jahrhunderts (1730-1777) : das biographische Werk des Patriziers von Lucca Bartolomeo Antonio Talenti. Frankfurt am Main ; New York : Peter Lang, 2007. (Beiträge zur Kirchen- und Kulturgeschichte, Bd. 18), p. 310-311. Webgraphy. Biography, in Portuguese, Wikipedia; brief biographical data in Os Cardeais Portugueses, in Portuguese, patriarchado de Lisboa; his engraving and arms, Araldica Vaticana; his tomb, Requiem Datenbank. (1) On November 7, 1716, Pope Clement XI, at the request of King João V of Portugal, elevated the royal chapel to patriarchal basilica, and divided the city and archdiocese of Lisbon into two parts, Oriental and Occidental Lisbon. The old archdiocese became Oriental Lisbon and the new Occidental archdiocese received the patriarchal denomination. It was also agreed by the pope and the king that the patriarch of Lisbon should be created a cardinal in the first consistory celebrated after his appointment to that see. The two circumscriptions were united on December 13, 1740. There have been sixteen patriarchs of Lisbon from Tomás de Almeida to José da Cruz Policarpo (1998). PRIMUS ULYSSIP. PATRIARCHA. SACRIFICUS MAXIMUS. IBIQUE SENATUS, & ARMORUM PRAEFECTUS. VIXIT LXXXIII MENSES V. DIES XVI. OBIIT ANNO MDCCLIV. III. KAL. Birth. November 5, 1671, Barcy, diocese of Anvers, France. Second son of Frédéric-Maurice de La Tour, count d'Auvergne, and Henriette-Françoise de Hohenzollern-Hechingen. Other siblings were Emmanuel-Maurice, bailiff d'Auvergne; François-Egon, prince d'Auvergne; Frédéric-Constantin, dean of the chapter of Strassbourg; and three daughters all nuns. Nephew of Cardinal Emanuel Théodose de la Tour d'Auvergne de Bouillon (1669). His first name is also listed as Henri-Oswald; as Henricus Osvaldus; and as Errico Osvaldo. Education. Studied at La Sorbonne University, Paris, where he obtained a doctorate in theology in May 1695. Priesthood. Ordained (no information found). Vicar general of the archdiocese of Vienne. Canon of the cathedral chapter of Strassbourg, 1684. Later, canon of the cathedral chapter of Liége. Abbot commendatario of the abbey of Redon, 1692. Abbot commendatario of Conches, 1694. Vicar general of his uncle, abbot of Cluny, Tournus and Saint-Martin. Coadjutor of the abbey of Cluny, April 22, 1697, when his uncle went to Rome; abbot in 1715. Grand provost of Strassbourg, 1697. 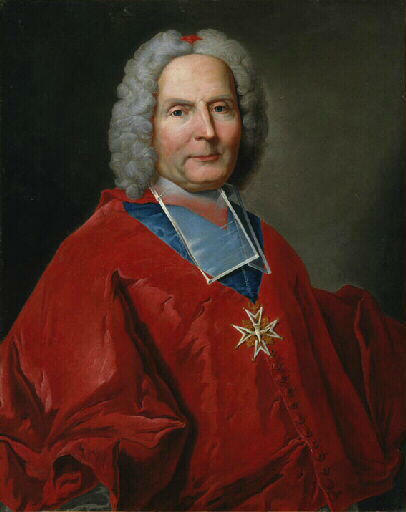 Promoted to the archdiocese of Tours by Pope Clement XI at the end of 1719; he was transferred to the metropolitan see of Vienne by Pope Innocent XIII in 1721, before having received the papal bulls (1). He was also abbot commendatario of the abbeys of Ainay, Anchin and La Valasse; and well as prior of Souvigny. Episcopate. Elected archbishop of Vienne, March 23, 1722. Consecrated, May 10, 1722, novitiate of the Society of Jesus in Paris, by Cardinal Armand-Gaston de Rohan, bishop of Strassbourg, assisted by Louis de La Vergne de Tressan, bishop of Nantes, and by Léonor Goyon de Matignon, bishop of Coutances. Deputy to the Assembly of the Clergy, 1723, Paris. First almoner of the king of France, 1732-1742. Commander of the Order of Saint-Esprit, May 1733. President of the Assembly of the Clergy, 1734. Cardinalate. Created cardinal priest in the consistory of December 20, 1737; with an apostolic bull of January 13, 1738, the pope sent him the red biretta. Participated in the conclave of 1740, which elected Pope Benedict XIV. Received the red hat and the title of S. Callisto, September 16, 1740. Death. April 23, 1747, Paris. Buried in the choir of the metropolitan cathedral of Vienne, in a funeral monument built, by his order, by Michel-Ange Slodtz; his predecessor, Archbishop Armand de Montmorin de Saint-Hérem, is also buried in that monument. Bibliography. Cardella, Lorenzo. Memorie storiche de' cardinali della Santa Romana Chiesa. 9 vols. Rome : Stamperia Pagliarini, 1794, VIII, 277-278; Chapeau, O.S.B. André and Fernand Combaluzier, C.M. Épiscopologe français des temps modernes, 1592-1973. Paris : Letouzey et Ané, 1974, p. 371-372; Notizie per l'anno bissestile 1752. Rome : Nella Stamperia del Chracas, presso S. Marco al Corso, 1752, p. 128-129; Ritzler, Remigium, and Pirminum Sefrin. Hierarchia Catholica Medii et Recientoris Aevi. Volumen V (1667-1730). Patavii : Typis et Sumptibus Domus Editorialis "Il Messaggero di S. Antonio" apud Basilicam S. Antonii, 1952, p. 415; Ritzler, Remigium, and Pirminum Sefrin. Hierarchia Catholica Medii et Recientoris Aevi. Volumen VI (1730-1799). Patavii : Typis et Sumptibus Domus Editorialis "Il Messaggero di S. Antonio" apud Basilicam S. Antonii, 1968, pp. 8, 43; Seidler, Sabrina M.; Weber, Christoph. Päpste und Kardinäle in der Mitte des 18. Jahrhunderts (1730-1777) : das biographische Werk des Patriziers von Lucca Bartolomeo Antonio Talenti. Frankfurt am Main ; New York : Peter Lang, 2007. (Beiträge zur Kirchen- und Kulturgeschichte, Bd. 18), p. 275-276. Webgraphy. His portrait, arms and biography, in French, Wikipedia; his portrait by an anonymous artist, musée de Dijon, Ministèrede la Culture et de la Communication; his engraving as a youngster, by Jean François Cars, châteaux de Versailles et de Trianon, Réunion des musées Nationaux; The Duchy of Bouillon, in English, Heraldica, François R. Velde; his engraving and portrait, Araldica Vaticana; his funeral monument in the metropolitan cathedral of Vienne, Wikipedia; his tomb, Requiem Datenbank. (1) This is according to Cardella, Memorie storiche de' cardinali della Santa Romana Chiesa, VIII, 278. Hierarchia Catholic Medii et Recentioris Aevi, V, 395, not only does not mention this nomination but indicates that Armand-Pierre de La Croix de Castries was nominated to the metropolitan see of Tours by the king of France on January 29, 1717 and preconized by the pope on September 18, 1719; and occupied it until September 23, 1722, when he was transferred to Albi. On p. 415, Hierarchia Catholica indicates that Henri-Oswald de La Tour d'Auvergne was nominated to the metropolitan see of Vienne by the king of France on January 11, 1721 and preconized by the pope on March 23, 1722; and that he resigned on July 3, 1745. Other sources, such as Arthur André Gabriel Michel de Boislisle's notes to the Mémoires de Saint-Simon (Paris : Hachette, 1879-1930, 43 vols. ), indicate that he was named archbishop of Tours in 1719 but was not installed (ne s'installa pas) and exchanged it for the see of Vienne in 1721; and Johann Heinrich Zedler, Grosses vollständiges Universal-Lexikon (Graz, Austria : Akademische Druck- u. Verlagsanstalt, 1961, 1732), concurs and delays his appointment to Vienne until 1722. The catalog of the archbishops of Tours indicate that he was archbishop of that see from 1719 to 1721. Education. Initial studies at the Jesuit school in Linz; not satisfied with the Jesuit education, his parents sent him, together with his brother Franz Anton, to study at the Somaschan Collegio Clementino, Rome, where he studied from 1694 to 1697; they first took a trip throughout Italy; in 1698, he went to the University of Bologna to study philosophy; later, he studied in law in Besançon, France, for a year; then returned to Rome to study theology. Early life. After finishing his studies, he entered the Roman prelature during the pontificate of Pope Innocent XI as prelate of the Tribunals of the Apostolic Signature of Justice and of Grance. Soon, he was called back to Germany by his uncle the cardinal. Priesthood. Ordained, September 21, 1703, Passau, by his uncle, who was the bishop of that see. In the diocese of Passau, canon of its cathedral chapter, 1703; official and vicar general for the lands under the Enns, November 1703 to 1706; official and vicar general for the federal province of Enns, 1708-1712; and provost in 1706 (1). Canon of the cathedral chapter of Salzburg, 1707. Cardinalate. Created cardinal priest in the consistory of December 20, 1737; with an apostolic brief of January 13, 1736, the pope sent him the red biretta. In January 1738, he was named mperial ambassador in Rome but never occupied the post. 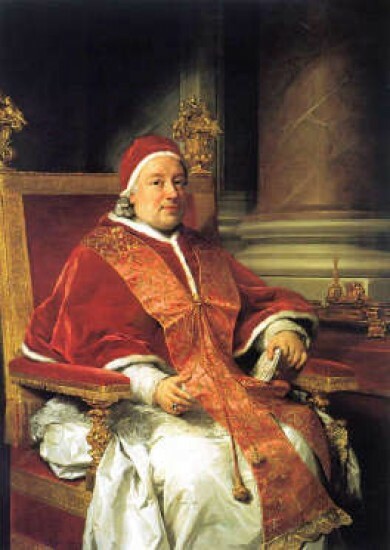 Did not participate in the conclave of 1740, which elected Pope Benedict XIV (2). Received the red hat and the title of S. Pietro in Montorio, September 16, 1740. 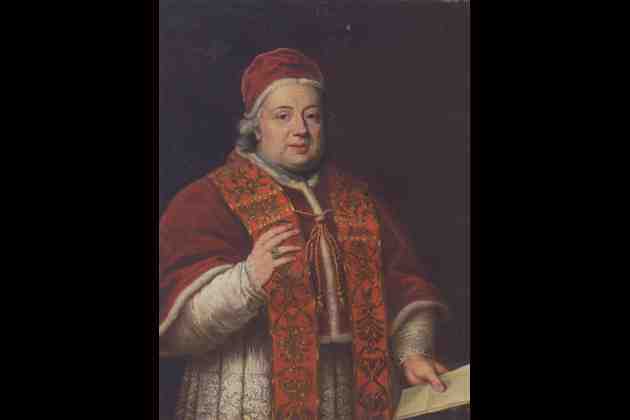 Did not participate in the conclave of 1758, which elected Pope Clement XIII, because of advanced age and ill health. Death. August 30, 1761, Passau. Exposed in the cathedral of Passau; and buried in its crypt, in the mausoleum he had built for himself. His heart is in an urn in the high altar of Mariahilf ("Mary's help"). Bibliography. Cardella, Lorenzo. Memorie storiche de' cardinali della Santa Romana Chiesa. 9 vols. Rome : Stamperia Pagliarini, 1794, VIII, 278-279; Leidl, Auguts. "Lamberg, Joseph Dominicus Reichsgraf von (1680-1761)." Die Bischöfe des Heiligen Römischen Reiches, 1648 bis 1803 : ein biographisches Lexikon. Herausgegeben von Erwin Gatz, unter Mitwirkung von Stephan M. Janker. Berlin : Duncker & Humblot, 1990, p. 257-259; Ritzler, Remigium, and Pirminum Sefrin. Hierarchia Catholica Medii et Recientoris Aevi. Volumen V (1667-1730). Patavii : Typis et Sumptibus Domus Editorialis "Il Messaggero di S. Antonio" apud Basilicam S. Antonii, 1952, pp. 308 and 349; Ritzler, Remigium, and Pirminum Sefrin. Hierarchia Catholica Medii et Recientoris Aevi. Volumen VI (1730-1799). Patavii : Typis et Sumptibus Domus Editorialis "Il Messaggero di S. Antonio" apud Basilicam S. Antonii, 1968, pp. 9 and 48; Seidler, Sabrina M.; Weber, Christoph. Päpste und Kardinäle in der Mitte des 18. Jahrhunderts (1730-1777) : das biographische Werk des Patriziers von Lucca Bartolomeo Antonio Talenti. Frankfurt am Main ; New York : Peter Lang, 2007. (Beiträge zur Kirchen- und Kulturgeschichte, Bd. 18), p. 428-429; Weiss, Rudolf . 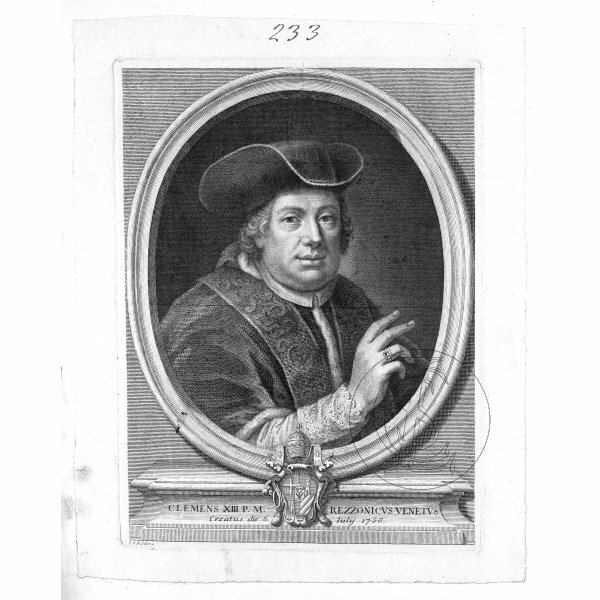 Das Bistum Passau unter Kardinal Joseph Dominikus von Lamberg (1723-1761) : Zugleich ein Beitrag zur Geschichte des Kryptoprotestantismus in Oberösterreich. St. Ottilien [West Germany] : EOS Verlag, 1979. (Münchener theologische Studien. ; I; Historische Abteilung ; Bd. 21; Münchener Universitäts-Schriften. ; Fachbereich Katholische Theologie). Note: Revision of thesis (doctoral)--Ludwig-Maximilians-Universität, München, 1976. Webgraphy. His portrait, tomb and biography, in German, Wikipedia; his engraving by Michael Rössler, Banque d'images, Centre de recherche du château de Versailles; his engraving by A.-D. Danneker, Banque d'images, Centre de recherche du château de Versailles; his tomb, Requiem Datenbank. (1) This is according to Ritzler, Hierarchia Catholica Medii et Recientoris Aevi, V, 349; and Leidl, "Lamberg, Joseph Dominicus Reichsgraf von (1680-1761)." Die Bischöfe des Heiligen Römischen Reiches, 1648 bis 1803, p. 257. Cardella, Memorie storiche de' cardinali della Santa Romana Chiesa, VIII, 278, says that he was named provost of the cathedral chapter of Passau in 1705. Seidler, Päpste und Kardinäle in der Mitte des 18. Jahrhunderts (1730-1777), 428, indicates that he was named provost in 1704. (2) This is according to Hierarchia Catholic Medii et Recentioris Aevi, VI, 19. Cardella, Memorie storiche de' cardinali della Santa Romana Chiesa, VIII, 279, indicates that he participated in this conclave. Birth. January 6, 1679, Mérida, Spain. Son of Gaspar de Molina y Cortina and María de Oviedo y Triana. Baptized on January 28, 1679. Education. Entered the Order of the Hermits of Saint Augustine in 1694, against the will of his parents. Professed in the convent of Badajoz on August 15, 1695. Studied at the Augustinian Colegio de San Acacio, Sevilla. Priesthood. Ordained (no information found). In his order, professor and regent of at Colegio de San Acacio, Sevilla,; prior in Cádiz, 1712; provincial of Andalucía in 1718; definitor general, 1720. He went to Rome in 1720 or 1721. Consultor and qualificator of the Holy Inquisition. Assistant general of Spain and the Indies in Rome. Participated in the Lateran council celebrated by Pope Benedict XIII, 1724. Obtained the title of master in Sacred Theology. King Felipe V of Spain entrusted him with important and delicate missions. He was nominated bishop of Santiago de Cuba by King Felipe V of Spain. Episcopate. Elected bishop of Santiago de Cuba, September 11, 1730. Consecrated, Saturday February 24, 1731, church of San Agustín of the Augustinian friars, Sevilla, by Luis de Salcedo Azcona, archbishop of Sevilla, assisted by Tomás del Valle, O.P., bishop of Cádiz, and by José Esquivel Castillejos, O.P., titular bishop of Licopoli, auxiliary of Sevilla. He never went to this diocese. Transferred to the see of Barcelona, June 18, 1731. He never went to this diocese because he was named commissary general of the Spanish Crusade, July 28, 1733. Transferred to the see of Málaga, May 5, 1734; he never went to this diocese either because of the grave affairs that he had to tend to; he generously helped the poor with large sums of money. Governor of the Council of Castilla, June 23, 1734. He was promoted to the cardinalate at the instance King Felipe V of Spain. The pope resisted the promotion because he considered Bishop Molina a man excessively attached to the Regalist opinions and with little affection for the Apostolic See; at the end, the pontiff acquiesced. Cardinalate. Created cardinal priest in the consistory of December 20, 1737; with an apostolic brief of January 13, 1738, the pope sent him the red biretta; he never went to Rome to receive the red hat and the title. Did not participate in the conclave of 1740, which elected Pope Benedict XIV. He bought a large library, which he later donated to the Augustinian convent of Sevilla. Death. August 30, 1744, suddenly, Madrid (1). His body was transported to and exposed in the Augustinian church of San Felipe Real, Madrid; he was buried in front of the main altar of that same church. Bibliography. Cardella, Lorenzo. Memorie storiche de' cardinali della Santa Romana Chiesa. 9 vols. Rome : Stamperia Pagliarini, 1794, VIII, 279-281; Espada, A. "Molina y Oviedo, Gaspar." Diccionario de historia eclesiástica de España. 4 vols and Supplement. Dirigido por Quintín Aldea Vaquero, Tomás Marín Martínez, José Vives Gatell. Madrid : Instituto Enrique Flórez, Consejo Superior de Investigaciones Científicas, 1972-1975; Suplemento (1987), III, 1500; Guitarte Izquierdo, Vidal. Episcopologio Español (1700-1867). Españoles obispos en españa, América, Filipinas y otros países. Rome : Instituto Español de Historia Eclesiástica, 1994. (Publicaciones del Instituto Español de Historia Eclesiástica; Subsidia; 29), p. 51; Notizie per l'anno1753. In Roma MDCCLIII : Nella Stamperia del Chracas, p. 126, no. 21; Ritzler, Remigium, and Pirminum Sefrin. Hierarchia Catholica Medii et Recentioris Aevi. Volumen VI (1730-1799). Patavii : Typis et Sumptibus Domus Editorialis "Il Messaggero di S. Antonio" apud Basilicam S. Antonii, 1968, pp. 8, 115, 240 and 273; Seidler, Sabrina M.; Weber, Christoph. Päpste und Kardinäle in der Mitte des 18. Jahrhunderts (1730-1777) : das biographische Werk des Patriziers von Lucca Bartolomeo Antonio Talenti. Frankfurt am Main ; New York : Peter Lang, 2007. (Beiträge zur Kirchen- und Kulturgeschichte, Bd. 18), p. 252-254. Webgraphy. Biography by Juan José Vallejo Penedo, OSA, Diccionario Biográfico Español; biography by Salvador Miranda, in Spanish, Episcopologio de la Iglesia Católica en Cuba; his portrait by an anonymous artist, Ayuntamiento de Sevilla, Fototeca, Universidad de Sevilla; his portrait attributed to Andrés Ruiz de Saravia, Museo de Bellas Artes de Córdoba, Red Digital de Colecciones de Museos de España; his engraving by Antonio Pazzi, Antiquariat Hille, Berlin; his engraving by Matías de Irala, Biblioteca Nacional de España; his tomb, Requiem Datenbank. (1) This is according to Cardella, Memorie storiche de' cardinali della Santa Romana Chiesa, VIII, 281. Ritzler, Hierarchia Catholica Medii et Recentioris Aevi, VI, 8, indicates that he died in San Ildefonso Hispaniarum, which could be La Granja de San Ildefonso, the summer palace of the kings of Spain in Segovia. Notizie per l'anno1753, p. 126, no. 21, also says that he died in San Ildefonso. Birth. June 15, 1690, Olszyn, former district of Kalisz, archdiocese of Gniezno, Poland. Of the family of the counts of Lipski. Son of Wacław Lipski and Barbara z Miaskowskich. He had two brothers, Franciszek and Andrzej, and two sisters, Marianna and Konstancja. He was baptized on June 15, 1690. Related to King Jan III Sobieski of Poland; and also to Cardinal Henry Benedict Mary Clement Stuart of York (1747). Education. Initially, he studied in several Polish educational institutions; then attended Seminario Romano (licentiate in canon law); La Sorbonne University, Paris; La Sapienza University, Rome (doctorate in utroque iure, both canon and civil law, October 7, 1717). Spoke five languages. Received the insignias of the clerical character, April 4, 1711; minor orders, April 6, 1711; subdiaconate, March 11, 1713; diaconate, April 1, 1713. After finishing his studies in 1717, he returned to Poland. Priesthood. Ordained, April 23, 1719. Provost of Choczkense, in the fief of his family. Primicerius of the cathedral chapter of Gniezno. Custodian of the Royal Church of Warsaw. Provost of the cathedral chapter of Posen. Provost of Wschoven, diocese of Posen. Provost of the monastery of Clarae Tumbae, Mogilskiego. Counselor and chancellor of the archbishop of Gniezno. Vice-chancellor of the Kingdom of Poland and president of the Supreme Tribunal of the kingdom from 1724. Episcopate. Elected bishop of Łuck (now Lutsk), March 31, 1732. Consecrated, May 25, 1732, at the collegiate church of Saint John the Baptist (the present metropolitan cathedral), Warsaw, by Teodor Andrzej Potoeki, archbishop of Gniezno, primate of Poland, assisted by Andrzej Stanisław Załuski, bishop of Pock, and by Augustyn Wessel, bishop of Windau and Pilten (1). Senator of the kingdom. Transferred to the see of Kraków, December 19, 1732. At the death of King August II, he made sure that the king's son was elected king of Poland, excluding King Stanisław Leszczyński of Poland, who had been deposed in 1709 and who had returned to reclaim the throne during the War of the Polish Succession; and he crowned him as King Augustus III of Poland, together with his wife, Queen Maria Józefa, on January 20, 1734. Decorated with the Order of Orla Bialego (White Eagle). Named grand chancellor of the kingdom of Poland. He was promoted to the cardinalate at the instance of King August III. Cardinalate. Created cardinal priest in the consistory of December 20, 1737; with an apostolic brief of January 13, 1738, the pope sent him the red biretta; never went to Rome to receive the red hat and the title. Did not participate in the conclave of 1740, which elected Pope Benedict XIV. On May 11, 1741, he was named apostolic visitor to the University of Kraków. Declined the nomination to the primatial see of Gniezno. Death. February 20, 1746, at his residence in Kielce. Exposed and buried in the cathedral of Kraków (2). Bibliography. Cardella, Lorenzo. Memorie storiche de' cardinali della Santa Romana Chiesa. 9 vols. Rome : Stamperia Pagliarini, 1794, VIII, 281-282; Nitecki, Piotr. Biskupi Kościoła w Polsce w latach 965-1999. Słownik biograficzny. Przedmowa Henryk Gulbinowicz. Warszawa : Instytut Wydawniczy "Pax", Warszawa 2000, col. 252; Notizie per l'anno1753. In Roma MDCCLIII : Nella Stamperia del Chracas, p. 127, no. 26; Prokop, Krzysztof Rafał. Polscy kardynałowie. Kraków : Wydawnictwo WAM, 2001, p. 157-165; Ritzler, Remigium, and Pirminum Sefrin. Hierarchia Catholica Medii et Recentioris Aevi. Volumen VI (1730-1799). Patavii : Typis et Sumptibus Domus Editorialis "Il Messaggero di S. Antonio" apud Basilicam S. Antonii, 1968, pp. 8, 185 and 266; Seidler, Sabrina M.; Weber, Christoph. Päpste und Kardinäle in der Mitte des 18. Jahrhunderts (1730-1777) : das biographische Werk des Patriziers von Lucca Bartolomeo Antonio Talenti. Frankfurt am Main ; New York : Peter Lang, 2007. (Beiträge zur Kirchen- und Kulturgeschichte, Bd. 18), p. 263-264. Webgraphy. His portrait and biography, in Polish, Wikipedia; his engraving by Johann Martin Bernigeroth, Antiquariat Hille, Berlin; his engraving by Johann Christopher Sysang, Deutsche Fotothek; engraving and portraits, Araldica Vaticana; his tomb, Requiem Datenbank; The Wawel Royal Cathedral of St. Stanislaus BM and St. Wescenslaus M, in English. (1) This is according to Prokop, Polscy kardynałowie, p. 161. Seidler, Päpste und Kardinäle in der Mitte des 18. Jahrhunderts (1730-1777), p. 263, says that the principal consecrator was Camillo Paolucci, nuncio in Poland and future cardinal; the co-consecrators are not given by this source. Education. Initial studies at home; then, he was sent to Collegio Tolomei, Siena, to study sciences; but he was inclined to study jurisprudence, therefore he attended the University of Pisa, where he obtained a doctorate in utroque iure, both canon and civil law, on August 2, 1695; while in Pisa, he lived at the home of his uncle, Francesco d'Elci, archbishop of the city. Early life. During the pontificate of Pope Innocent XII, he went to Rome, practiced law, frequented the courts and met the lawyers of the greatest fame. Priesthood. Ordained, December 21, 1699. He entered the Roman prelature and was ascribed among the prelates of the Tribunals of the Apostolic Signature of Justice and of Grace on May 17, 1700. Named vice-legate of Romagna, November 1701. Governor of Faenza, August 1702. Governor of Fano, January 22, 1705. Relator of the S.C. of the Sacred Consulta, 1707. Relator of the S.C. of Ecclesiastical Immunity, January 1708. Referendary of the Supreme Tribunals of the Apostolic Signature of Justice and of Grace. Governor of Loreto, June 28, 1709. Inquisitor in the Island of Malta, February 24, 1711. Cleric of the Apostolic Chamber, May 2, 1716, succeeding the late Monsignor Oronzio Salinari Lecce. Prefect of the Archives, 1717. President delle Ripe, 1718. President delle Grascia, February 1718. Resigned the clericate of the Apostolic Chamber to become vice-legate of Avignon, post that he occupied from May 20, 1719 until March 7, 1731; in 1721, the plague that affected Marseille extended to some of the territories of the legation of Avignon and he worked tirelessly assisting the ill and the poor. Episcopate. Elected titular archbishop of Rodi, November 22, 1730. Consecrated, January 7, 1731, church of the Jesuits, Avignon, by François Gontieri, archbishop of Avignon, assisted by François Abbati, bishop of Carpentras, and by Joseph Louis Cahorne de La Palun, bishop of Vaison. Nuncio in France, January 2, 1731 until October 10, 1738. Cardinalate. Created cardinal and reserved in pectore in the consistory of December 20, 1737; published in the consistory of June 23, 1738; received the red hat and the title of S. Sabina, July 23, 1738. Transferred to the archbishopric of Ferrara, May 5, 1738. Granted the pallium, July 22, 1738. Participated in the conclave of 1740, which elected Pope Benedict XIV. Resigned government of the archbishopric, September 15, 1740. Legate in Ferrara, September 16, 1740 until January 30, 1744. He declined the metropolitan see of Pisa in January 1745. Opted for the order of bishops and the suburbicarian see of Sabina, retaining his title in commendam, April 10, 1747. Camerlengo of the Sacred College of Cardinals, April 10, 1747 until January 20, 1748. Prefect of the S.C. of Ecclesiastical Immunity, August 1752 until his death. Opted for the suburbicarian see of Porto e Santa Rufina, retaining his title in commendam, April 9, 1753. Sub-dean of the Sacred College of Cardinals. Opted for the suburbicarian see of Ostia e Velletri, proper of the dean of the Sacred College of Cardinals, retaining his title in commendam, January 12, 1756. Participated in the conclave of 1758, which elected Pope Clement XIII. He was protector of the Theological Academy, Rome; and of the Apostolic Hospice in S. Michele. He was abbot commendatario of S. Maria in Rambona, in S. Severino; of Ss.Vito e Pancrazio de Colepesse, in Todi; of S. Eustizio, in Spoleto; and of S. Pietro in Vincoli, in Massa Lombarda. Death. June 22, 1761, Rome. Exposed in the Franciscan basilica of Ss. XII Apostoli, Rome, his parish, where the funeral took place; privately transferred to and buried in his title, the Dominican basilica of S. Sabina, in the chapel of his family dedicated to S. Caterina da Siena (1). Bibliography. Cardella, Lorenzo. Memorie storiche de' cardinali della Santa Romana Chiesa. 9 vols. Rome : Stamperia Pagliarini, 1794, VIII, 282-285; Forcella, Vincenzo. Iscrizioni delle chiese e d'altri edificii di Roma dal secolo XI fino ai giorni nostri. 14 v. in 7. Roma : Tip. delle scienze matematiche e fisiche, 1869-1884, VII, 321, no. 662; Karttunen, Liisi. Les nonciatures apostoliques permanentes de 1650 à 1800. Genève : E. Chaulmontet, 1912, p. 243; Moroni, Gaetano. Dizionario di erudizione storico-ecclesiastica da S. Pietro sino ai nostri giorni. 103 vols. in 53. Venezia : Tipografia Emiliana, 1840-1861, XIX, 200-201; Notizie per l'anno1763. In Roma MDCCLXIII : Nella Stamperia del Chracas, p. 131-132, no. 16; Ritzler, Remigium, and Pirminum Sefrin. Hierarchia Catholica Medii et Recentioris Aevi. Volumen VI (1730-1799). Patavii : Typis et Sumptibus Domus Editorialis "Il Messaggero di S. Antonio" apud Basilicam S. Antonii, 1968, pp. 8, 39, 40, 41, 48, 56, 215 and 357; Seidler, Sabrina M.; Weber, Christoph. Päpste und Kardinäle in der Mitte des 18. Jahrhunderts (1730-1777) : das biographische Werk des Patriziers von Lucca Bartolomeo Antonio Talenti. Frankfurt am Main ; New York : Peter Lang, 2007. (Beiträge zur Kirchen- und Kulturgeschichte, Bd. 18), p. 409-410; Weber, Christoph and Becker, Michael. Genealogien zur Papstgeschichte. 6 v. Stuttgart : Anton Hiersemann, 1999-2002. (Päpste und Papsttum, Bd. 29, 1-6), I, 314; Weber, Christoph. Legati e governatori dello Stato Pontificio : 1550-1809. Roma : Ministero per i beni culturali e ambientali, Ufficio centrale per i beni archivistici, 1994. (Pubblicazioni degli archivi di Stato. Sussidi; 7) pp. 135, 231, 237, 254, 282, 369 and 622. Webgraphy. Biography by Luisa Bertoni, in Italian, Dizionario Biografico degli Italiani - Volume 36 (1988), Treccani; his portrait, secolo XVIII (1750-1799), bottega romana, regione ecclesiastica Lazio, diocesi Porto-Santa Rufina, Beni Ecclesiastici in web (BeWeB); his portrait, secolo XVIII (1756), bottega romana, regione ecclesiastica Lazio, diocesi Porto-Santa Rufina, Beni Ecclesiastici in web (BeWeB); his engraving by Niccolò Billy after a painting by Petrus Nelli, Alan Wofsy Fine Arts; his engraving, Araldica Vaticana; his prosopography, in German, Requiem Datenbank; his tomb in the basilica of S. Sabina, Rome, Requiem Datenbank. Birth. March 7, 1693, Venice. Second of the two children of Giovanni Battista Rezzonico, senator of the Republic of Venice, and Vittoria Barbarigo, sister of Pietro Barbarigo, patriarch of Venice. The other child was Aurelio. Grand-nephew of Cardinal Marcantonio Barbarigo (1686). Uncle of Cardinals Carlo Rezzonico, iuniore (1758); and Giovanni Battista Rezzonico (1770). Education. Initial studies at the Jesuit School, Bologna; then, he studied at the University of Padua, where he obtained a doctorate in utroque iure, both canon and civil law; finally, he went to Rome and from 1714 attended the Pontifical Academy of Ecclesiastical Nobles, Rome (diplomacy). Early life. Protonotary apostolic participantium. Entered the Roman prelature as referendary of the Tribunals of the Apostolic Signature of Justice and of Grace in March 1716. Governor of Rieti, May 21, 1718. Governor of Fano, July 12, 1721. Relator of the S.C. of the Sacred Consulta, January 1725. Auditor of the Sacred Roman Rota for Venice, March 1729; took possession the following November. Priesthood. Ordained, December 23, 1731. Cardinalate. Created cardinal deacon in the consistory of December 20, 1737; received the red hat and the deaconry of S. Nicola in Carcere, January 27, 1738. Participated in the conclave of 1740, which elected Pope Benedict XIV. Apostolic visitor of the Reverend Fabric of St. Peter's, December 17, 1740. Prefect of the Economy of the S.C. of Propaganda Fide until his promotion to the see of Padua. Episcopate. Elected bishop of Padua, March 11, 1743. Consecrated, March 19, 1743, in the basilica of Ss. XII Apostoli, Rome, by Pope Benedict XIV, assisted by Cardinal Giuseppe Accoramboni, bishop of Frascati, and by Cardinal Antonio Saverio Gentili. He visited his diocese frequently and with great fervor; reformed the ecclesiastical discipline; enlarged the seminary building; paid close attention to the priests and parish pastors; and helped the poor and the needy with his own patrimony. At the request of the Republic of Venice, he negotiated with Pope Benedict XIV the end of the dispute over the patriarchate of Aquileia. Opted for the order of cardinal priests and the title of S. Maria in Aracoeli, May 15, 1747. Opted for the title of S. Marco, February 17, 1755. Participated in the conclave of 1758 and was elected pope. Papacy. Elected pope, July 6, 1758. Took the name Clement XIII. Crowned, July 16, 1758, loggia of the patriarchal Vatican basilica, Rome, by Cardinal Alessandro Albani, protodeacon of S. Maria in Via Lata. He created fifty two cardinals in seven consistories. Death. During the night of February 2, 1769, in Rome, of an apoplexy. Exposed and buried, February 8, 1769, in the patriarchal Vatican basilica, Rome; transferred on September 27, 1774, within the same basilica, to a monument sculpted by Antonio Canova at the request of the pope's nephew, Senator Abbondio Rezzonico. Bibliography. Cajani, Luigi ; Foa, Anna. "Clemente XIII." Enciclopedia dei papi. 3 vols. Roma : Istituto della Enciclopedia italiana, 2000, III, 461-475; Cardella, Lorenzo. Memorie storiche de' cardinali della Santa Romana Chiesa. 9 vols. Rome : Stamperia Pagliarini, 1794, VIII, 285-287; Ritzler, Remigium, and Pirminum Sefrin. Hierarchia Catholica Medii et Recentioris Aevi. Volumen VI (1730-1799). Patavii : Typis et Sumptibus Domus Editorialis "Il Messaggero di S. Antonio" apud Basilicam S. Antonii, 1968, pp. ; Weber, Christoph and Becker, Michael. Genealogien zur Papstgeschichte. 6 v. Stuttgart : Anton Hiersemann, 1999-2002. (Päpste und Papsttum, Bd. 29, 1-6), II, 800; Weber, Christoph. Legati e governatori dello Stato Pontificio : 1550-1809. Roma : Ministero per i beni culturali e ambientali, Ufficio centrale per i beni archivistici, 1994. (Pubblicazioni degli archivi di Stato. Sussidi; 7) pp. 237, 345 and 863. Webgraphy. Biography by Sydney Smith, in English, The Catholic Encyclopedia; his biography, in English, St. Michael's Call, Official website of the Oblates and Missioners of St. Michael; biography by Luigi Cajani and Anna Foa, in Italian, Enciclopedia dei papi; his portrait as a cardinal, Pinacoteca Comunale, Cesena, Istituto per i beni artistici culturali e naturali della Regione Emilia-Romagna; his portrait by Anton Raphael Mengs, Museo del Settecento Veneziano, Ca' Rezzonico, Venice, Italy, Web Gallery of Art; his portrait, Pinacoteca di Bologna, Arte su Arte; his portrait and arms, Araldica Vaticana; his portrait by Pompeo Batoni, Gabrius; his portrait by Anton Raphael Mengs, Kress Foundation, New Orleans, ARTstor; his engraving by Giovanni Antonio Faldoni, Biblioteca Classense, Istituto per i beni artistici culturali e naturali della Regione Emilia-Romagna; his bust by Antonio Canova, musée des Beaux-Arts, Nantes, Réunion des Musées Nationaux; his portrait, arms and tomb, Requiem Datenbank; his tomb by Antonio Canova in the patriarchal Vatican basilica, Rome, ArtServe, The Australian National Library.